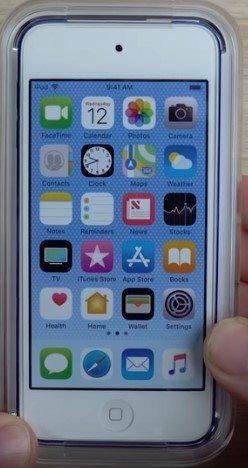 Computer Answers has been repairing malfunctioning or broken iPods ever since Apple released the very first model in 2001. The iPod is no longer ‘just’ a music player. Your iPod Nano or iPod Touch is also storing your other media. It may even be serving as your portable hard drive containing vital business, financial or other personal information. You need to get that device back in your hands and working safely just as soon as you can. There are several known issues and problems with the iPod line. Generally, there have been complaints about battery life as well as the reliability and durability of the iPod’s hard drives. We list six issues we regularly service at Computer Answers and yours may be one of them. If it is not – not to worry – we will have seen your problem before and successfully dealt with it. You are always welcome to walk in with any model of iPod to any of our five Computer Answers Service Centers, in the Albany/Schenectady area as well as Brooklyn. You can also just call us Toll Free at 866-488-2806 or use our Contact Form. Describe your problem. We can even arrange rapid shipping for your iPod if you can’t come in. Brooklyn, Albany, Clifton Park, East Greenbush, and Schenectady. Are you worried about your iPod’s battery life or hard drive? Perhaps you are concerned about any viruses downloaded along with your media. Computer Answers will gladly perform a thorough Diagnostic on your iPod for free, any time you bring it in or send it in to us. The iPod’s headphone jack port is an opening that can allow dust or moisture in. Equally, it can become corroded and malfunctioning over time. Computer Answers can clean the port, or replace the jack on your headphones if it is causing damage to your iPod. It is no secret that Apple products have long had battery issues. For that reason, Computer Answers carries a complete stock of replacement batteries for your iPod. If we know you are coming in, we can even have one charged and waiting when you arrive. In a worst case scenario, when your iPod has become so badly damaged that the actual hard drive has become chipped, scratched or even snapped, Computer Answers can recover your vital files. This is particularly crucial if you have been using your iPod as a portable hard drive. We have achieved a phenomenal 98% success rate in data recovery. The danger water presents to your iPod is no less severe than it would to your Smartphone. Water can take hours or days to slowly corrode and destroy your iPod’s internal structure. If your iPod gets wet, turn it off, remove the battery and bring it to Computer Answers immediately. We will dry it professionally and assess what damage may have occurred. Any iPod carried about or worn from a pocket or belt is liable to have its glass panel scuffed, marred or broken. Similarly, the internal LCD display can lose resolution to the point of invisibility. If Computer Answers cannot clean and repair the damaged panels, we can quickly replace them for you.